Located on Geruma, Takara's House (TAKARA-KE) is a nationally-designated important cultural property (architecture), which is an important cultural resource. Takara is an old family known as a master family of boatmen. The house is a well-preserved and maintained important cultural resource of Okinawan-style house. 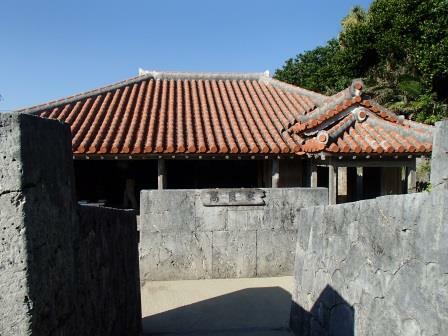 It is said that the house was constructed in the late 19th century by Peechin Nakandakari, who served a chief boatman for a public vessel toward Qing (China) during the late Ryukyu Kingdom.